Bradley Cooper’s “A Star Is Born” earned $3.2 million at the Thursday box office ($4.55 million if you include Tuesday and Wednesday Special Event Sneaks), while Tom Hardy’s “Venom” grossed $10 million, giving it the best October preview record of all time. In comparison to “A Star Is Born,” “Mamma Mia! Here We Go Again” earned $3.4 million in preshows, before it opened to $35 million in July. “Mamma Mia 2,” however, was a sequel in an already-established franchise that opened in the summer. “A Star Is Born,” which has earned critical acclaim from its premiere at the Venice Film Festival and is sure to lure Lady Gaga fans in droves, is expected to gross at least $30 million this weekend as it faces off against “Venom,” which is looking at an opening weekend of at least $55 million, with some independent trackers expecting a new October best of at least $60 million. The current record is held by “Gravity,” which earned $55 million. 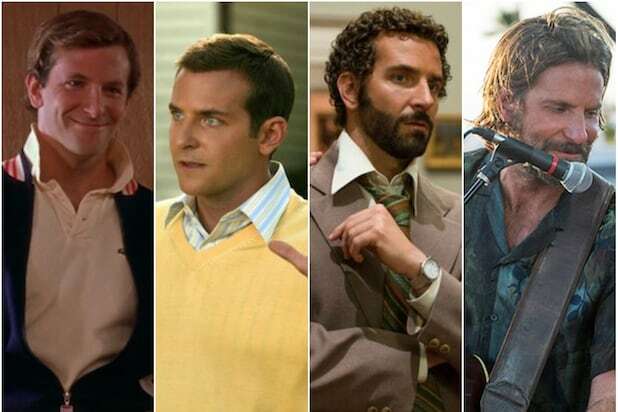 “A Star Is Born” stars Cooper as Jackson Maine, a famous yet fading singer-songwriter who has turned to alcohol. During his latest tour, he encounters a talented yet unknown singer named Ally (Lady Gaga), with whom he falls in love with and helps propel to stardom. But as Ally’s career soars, Jackson’s continues to fall apart. Dave Chappelle, Andrew Dice Clay and Sam Elliott also star in this film, which is Cooper’s directorial debut. “Venom,” however, stars Tom Hardy as Eddie Brock, a down-on-his-luck journalist who tries to revive his career by investigating the mysterious experiments being conducted by the Life Foundation and its shady leader, Carlton Drake (Riz Ahmed). But along the way, an alien symbiote being tested by the organization bonds with Eddie, transforming him into the titular monster. Eddie finds himself being dragged into a fight with the Life Corporation, all the while being tempted by Venom into unleashing his darkest impulses. Michelle Williams and Jenny Slate also star, with Ruben Fleischer directing. 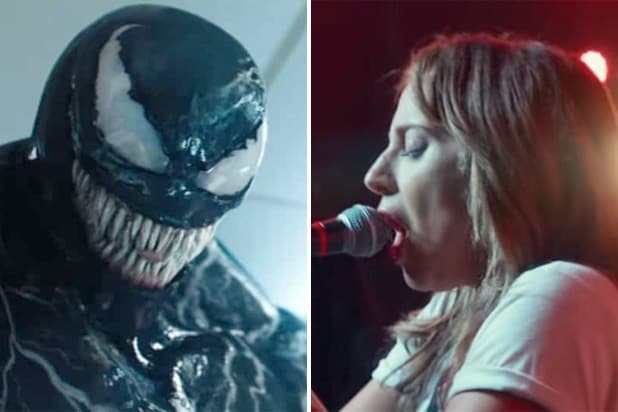 “A Star Is Born” holds a score of 93 percent on Rotten Tomatoes, while “Venom” only came in at 28 percent.